Light weight (under 4 grams without antenna). Receiver sensitivity to -121 dBm. 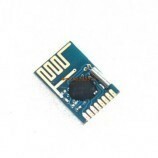 Transmit power up to 20dBm (100mW). Air data rates up to 250kbps. MAVLink protocol framing and status reporting. Frequency hopping spread spectrum (FHSS). Adaptive time division multiplexing (TDM). Support for LBT and AFA. Built in error correcting code (can correct up to 25% data bit errors). 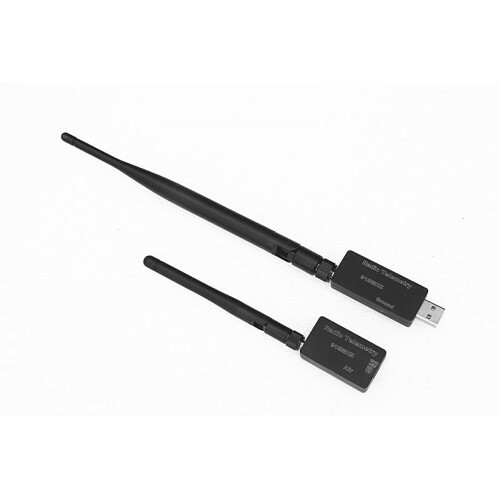 Demonstrated range of several kilometers with a small omni antenna. Can be used with a bi-directional amplifier for even more range. AT commands for radio configuration. RT commands for remote radio configuration. Adaptive flow control when used with APM. Based on HM-TRP radio modules, with Si1000 8051 micro-controller and Si4432 radio module.